BLOOMINGTON, Ind. 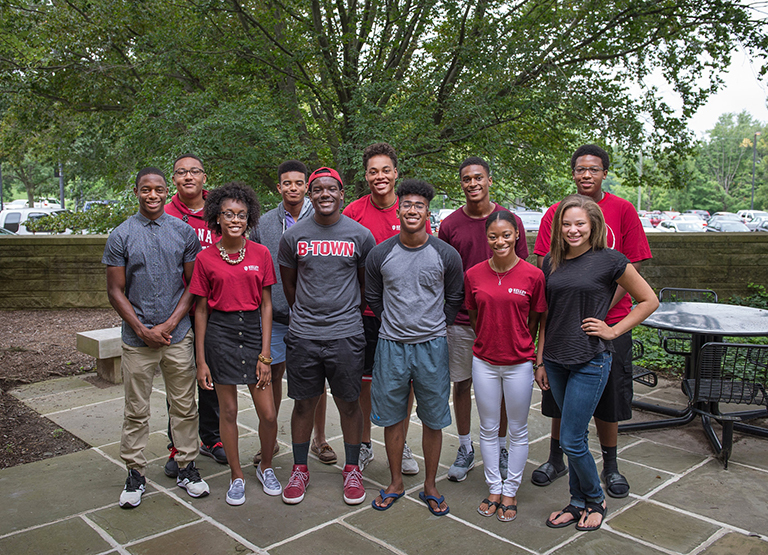 -- Twelve incoming Indiana University freshmen have been selected as Dean’s Council Scholars by the Kelley School of Business. With special consideration given to underrepresented populations, the scholarship was open to all incoming freshmen directly admitted to the Kelley School. The scholarship is renewable as long as recipients are pursuing an undergraduate business degree and remain in good academic standing. Recipients have an interest in a wide array of majors, including management, accounting, finance, economic consulting, entrepreneurship and corporate innovation and marketing. The scholarship was created out of a shared aspiration of the Kelley School’s dean and Dean’s Council to pool their philanthropic resources to sustain and enhance the school’s diversity efforts, which includes financially challenged students as well as students from diverse cultural backgrounds. The Kelley Dean’s Council was established in 1972 with the mission to provide support to the dean of the Kelley School and serve as a liaison between the school and the business community. The council is composed of over 150 CEOs, vice presidents and business leaders who represent all ranges of industry. It advises on institutional goals, school strategies and curricula. The council is also actively involved with long-term goal planning for the school and offers input on research, fundraising and the creation of new programs. A.G. Bankole-Hameed, Naperville North High School, Naperville, Ill.
Anthony Bello, Homewood-Flossmoor Community High School, Homewood, Ill.
Kayla Curry, O’Fallon Township High School, O’Fallon, Ill.
William Johnson, Oak Park & River Forest High School, Oak Park, Ill.
Tyler Johnson, Alpharetta High School, Alpharetta, Ga.
Claudia Loman, Avon High School, Plainfield, Ind. Michael Quigley, Libertyville High School, Libertyville, Ill.
Drew Walcott, East Brunswick High School, East Brunswick, N.J.
More information about the Dean’s Council Scholarship is available from Brittani Wilson, director of diversity initiatives at Kelley, or Luke Leftwich, director of the undergraduate program, at 812-855-4474.